Andrews Law Group (in concert with the expert assistance of RE Broker/Attorney/Loan Broker, Michael Gaddis, Esq.) 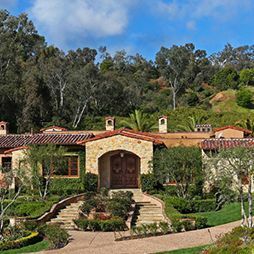 staved-off a threatened foreclosure on this exclusive Rancho Santa Fe property, won a long and hard-fought battle to evict the now-disbarred Attorney who was then a tenant, and saved its Client some two million dollars in forgiven mortgage debt, by negotiating a short sale. Andrews Law Group recovered $2.6 million at a jury trial that spanned more than a month, involving this property and more than a dozen others, located in three different countries and three states within the United States. One partner of three in this investment and development venture attempted to retain title to properties to which he was not entitled. The claims sounded in fraud, elder abuse, and breach of contract, among others. The Jury awarded ALG’s Clients the full sum requested. ALG is proud to have taken on two Bay Area firms and a large San Diego law firm (three against one) in this trial, where the one partner who defrauded the other two held all the money and used that money to rain down as much pain & suffering as he could, but to no avail, as ALG prevailed in a big way at trial! 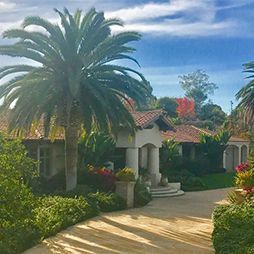 Andrews Law Group took this La Jolla homeowner’s claim to trial and won over one million dollars for its Client against a major Del Mar- and La Jolla-based builder/developer. The lawsuit arose over allegations of defective and delayed, work performed during a full-house tear-down and re-build with a new pool in this exclusive Windansea area. After a three-day bench trial, ALG’s Client was awarded over a million dollars, which included an award for all fees and costs the Client incurred for the trial. The trial award was also collected in full. 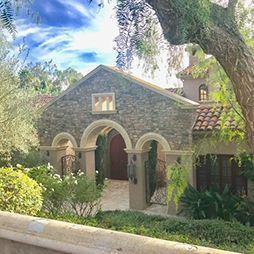 Despite its developer filing Bankruptcy on this very exclusive ($40 million or more) custom home construction project in West Los Angeles’ Stone Canyon, Andrews Law Group recovered over a quarter of a million dollars for its Framing Contractor Client. ALG serve & recorded mechanic’s liens, maneuvered around potentially fatal issues related to 20-day Prelim. Notice, filed claims in the BK case, and then negotiated an assignment of the lien to new buyers of this high-end project at full face value. Andrews Law Group negotiated a six-figure insurance settlement for its elderly La Costa Client, when a contractor left a pool of water on her floor, causing her to fall and badly injure her hip. Sums first offered at formal Mediation were a pittance; but after ALG litigated the case further in Court, and up to verge of trial, carrier paid a large six-figure sum to compensate ALG’s Client for hip injuries. Andrews Law Group (in concert with its Family Law Partner and Of Counsel, Maria Taylor, Esq.) prevailed at trial for its Client, who sought joint custody of her adopted son. The opposing parent resisted, all the way to trial, ALG’s Client’s rights to full and equal visitation. The expert Family Law work of Ms. Taylor, in combination with the Trial Presentation put on by Mr. Andrews and Ms. Taylor, won this Client the right to spend her life raising her son, a victory that is both heart-touching, and priceless. 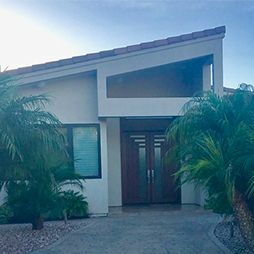 Andrews Law Group represented the supplier of custom cabinets, doors, windows, built-ins, and other fabulous wood products to this owner-built custom new home in Rancho Sante Fe. ALG’s cross-examination of the owner-builders expert at trial exposed as false and flawed the expert’s theories re: why a few doors had cracked. The Jury awarded ALG’s supplier Client a six-figure sum when ALG proved faulty installation caused the cracks and disproved all other excuses for Owner’s refusal to pay. Andrews Law Group’s efforts that saved this Client’s home from foreclosure made the local newspaper, when it was established that a major mortgage lender was attempting to foreclose while refusing to honor a loan modification it had already agreed to with ALG’s Client. ALG has literally dozens of former Client referrals who can attest to the diligent efforts of ALG to save their home. Since 2008, ALG has sued and successfully negotiated settlements with every major mortgage lender in over 100 cases filed in court, and/or managed out of court, for its many foreclosure-defense Clients, all over CA. Andrews Law Group enforced its Flood Remediation Client’s Mechanic’s Lien on this real property when Owners refused to pay. ALG consulted and advised its Client re: litigation and arbitration options, after analysis of the Contract’s Arbitration Clause. Arbitrator awarded ALG’s Client a six-figure sum after a 2-day arbitration. Award included reimbursement of ALL fees & costs paid by ALG’s Client. Andrews Law Group negotiated a policy limits, six-figure, insurance settlement, when its Client suffered soft tissue damage and persistent nerve pain, after an otherwise minor car accident. The case was challenging because the Client’s specific injuries were novel, and hard to prove (nerve pain & persistent migraine headaches, despite no clearly-diagnosable or obvious injury to Client’s neck/back). After proper preparation, and expert input, the case settled after depositions and just before trial, and for the full face value of ins. policy owned by the driver of the vehicle that rear-ended ALG’s injured Client. The firm focuses on providing effective legal advice and representation to help our clients in the resolution of construction disputes. Mr. Andrews is an experienced mediator/arbitrator who has successfully presided over dozens of proceedings. However, when litigation is the right approach for your circumstances, Mr. Andrews is prepared to vigorously defend you and/or your insurance company at trial against any and all claims. As a San Diego construction attorney, Mr. Andrews understands that construction disputes can negatively affect the cost of building projects and that proactive measures can help avoid future disputes and help preserve valuable business relationships. As a construction law firm, we provide legal advice and representation designed to protect your interests while preserving valuable business relationships. 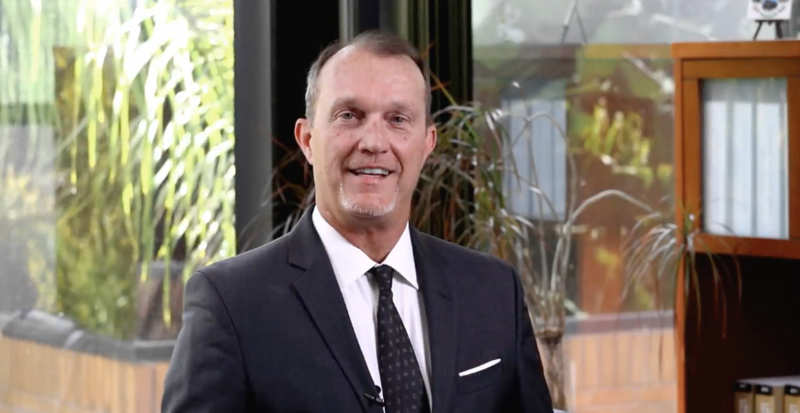 As an experienced litigator, Brian Andrews is well-versed in all aspects of construction laws in California. From lien law to construction defects, he has the skills and experience to protect your rights at trial and during settlement. Contact The Andrews Law Group online or call toll free at 858-452-5600 today. Let Mr. Andrews put his experience and skills in San Diego construction laws to work for you.